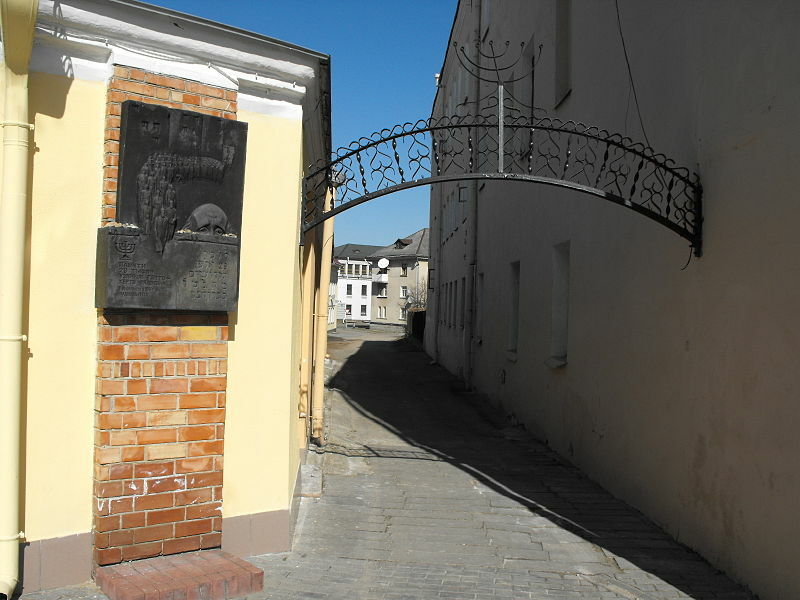 The Grodno Ghetto was a World War II ghetto established in November 1941 by Nazi Germany for the purpose of persecution and exploitation of Jews in the city of Grodno. Grodno was annexed by the Nazis in 1941 and the ghetto was established in the city's central part close to the castle and around the synagogue. Jews had already concentrated in that area before the founding of the ghetto, but the space was greatly reduced nonetheless. All 15,000 Jews living nearby were forced into an area less than half a square kilometer, between Wilenska Street on one side, and Zamkowa Street (renamed Burg Strasse) on the other. The ghetto was surrounded by a 2 metre fence. The entrance to the ghetto was on Zamkowa Street between the sidewalk and the road. Some of the houses on that street were demolished. The ghetto was liquidated in 1943.